The Bass is known for its contemporary art and focuses on exhibitions from across the world. Most of the art is from mid-career and well-established artists. During April and May, patrons can get half-off admission at The Bass. You can also dive in the art scene at The Bass and take advantage of a package deal during Miami Museum Month with the Join One, See Them All deal. Once you buy an admission ticket, you also get access to other select museums for the price of one ticket, such as the Museum of Art and Design and Wings Over Miami Air Museum. The Coral Gables Museum has almost an endless list of activities you and your family can enjoy. Waltz past the exhibits featured by Lumen Lucerne and witness his masterpieces that use ancient photographic methods to recording images. Enjoy the Castles in the Sky exhibit, which showcase imaginary architecture from over 25 contemporary artists. You can also enjoy a buy one, get one free offer from the Coral Gables Museum for a free admissions ticket. If you enjoy a little history, then you’ll appreciate what the Historic Homestead Town Hall Museum has to offer. This museum is located in the original Town Hall of the city Homestead, which was built in 1917. Inside the museum, you can find exhibits showcasing how the city has changed over the years and its classic fire truck. You can also visit the museum for free this month and even get 10 percent off your purchases at its gift shop. You can’t go wrong visiting the Phillip and Patricia Frost Museum of Science. The museum features an amazing overhead aquarium with exotic marine life. It also houses a 250-foot planetarium that uses 16 million colors with an 8K projection in a vast dome fully-equipped with surround sound. Enjoy a discounted admission of $5 when you visit during this month Mondays through Thursdays. Culture buffs will enjoy what the Little Haiti Cultural Complex has in store during Miami Beach Museum Month. The museum is offering complimentary group tours any day you visit this month. You can also enjoy 10 percent off select arts and crafts. The museum features Afro-Caribbean cultural exhibits. It also houses a dance studio and art studio and offers a weekend marketplace. You can even enjoy some exhibits with a virtual headset. Are you excited for what Miami Museum Month has to offer? Do you want to be near all the action? The Beacon Hotel South Beach is at the heart of South Beach. It’s also close to all the attractions and participating museums in Miami Beach Museum Month. Book directly with the Beacon Hotel to get exclusive deals near all the action. You can even save 10 percent off your stay when you book in advance. The Beacon Hotel South Beach also offers early bird specials. The Beacon Hotel is a gem among boutique South Beach hotels in Miami. 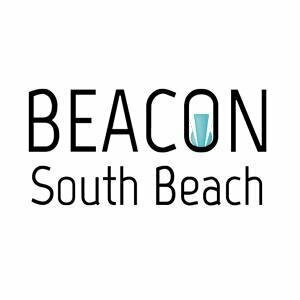 Besides its premium location right in the center of Ocean Drive, and beautifully remodeled rooms and lobby, the Beacon gives you South Beach how it is meant to be experienced. Here, you have direct access to seven miles of sand and surf, unrivaled nightlife, premier shopping and dining. Enjoy infinite views of the Atlantic Ocean on one side and historical sherbet-colored Art Deco architecture on the other. Be it honeymoon, anniversary or a romantic beach getaway, this historical oceanfront boutique hotel is a haven for a perfect romantic vacation. Beacon Hotel offers complimentary breakfast, free Wi-Fi, and complimentary beach towels and beach chairs in the room.